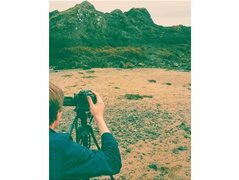 Actress / model / dancer required for music video shoot in Fife. The direction for the video requires a lead female aged between 18 - 30 with dancing ability (video ends with improvised/self-choreographed dance sequence). Please contact for more information on the band, song and shoot details. Showreel submission preferred, but not essential. Production date (weather permitting) 7th or 14th October. Part to be portrayed: anguished, upset, angry, frustrated. Video ends with dance sequence so ability to improvise or choreograph a dance sequence is essential.